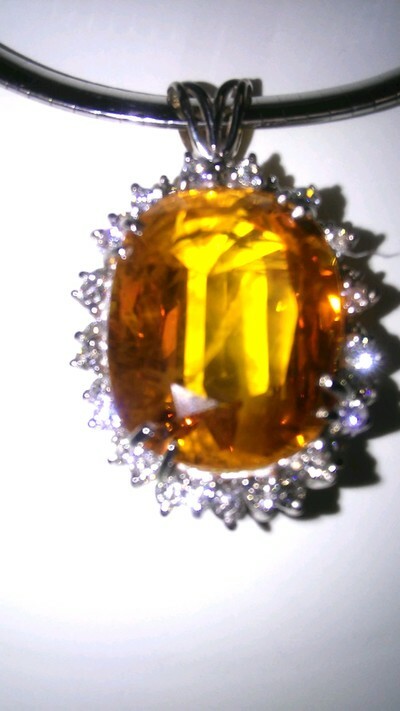 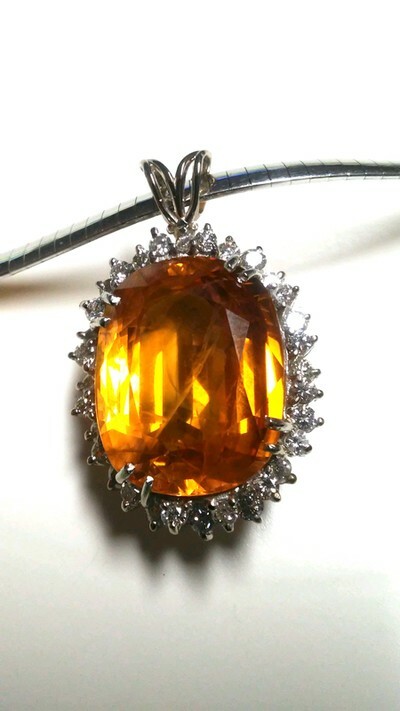 PENDANT ORANGE OVAL 28.74 ct SAPPHIRE GIA COA W/ ROUND BRILLIANT DIAMONDS 1.28ct BEAUTIFUL PIECE OF JEWELRY This well crafted piece of jewelry is simply mesmerizing with it’s very large Center stone of 28.74 ct Oval Mixed Cut Natural Sapphire, Color of Medium Dark Orange, surrounded by 1.28 Cts of Round Brilliant diamonds! 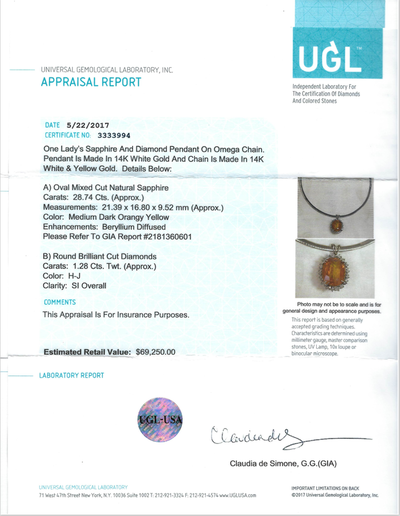 This piece was Appraised on May 22, 2017 by UGL (independent Lab) and CERTIFIED BY “GIA” dated May 11, 2017 see attached report for specifics. 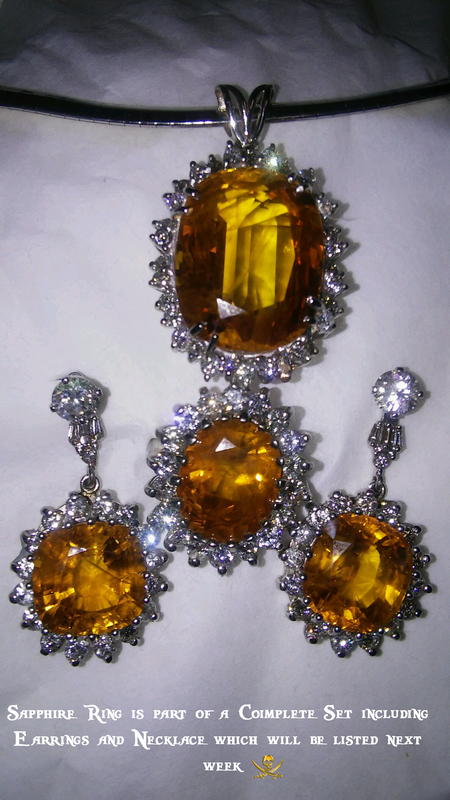 We also have (as you can see from the pictures) a whole set, the Pendant, Earrings and ring. 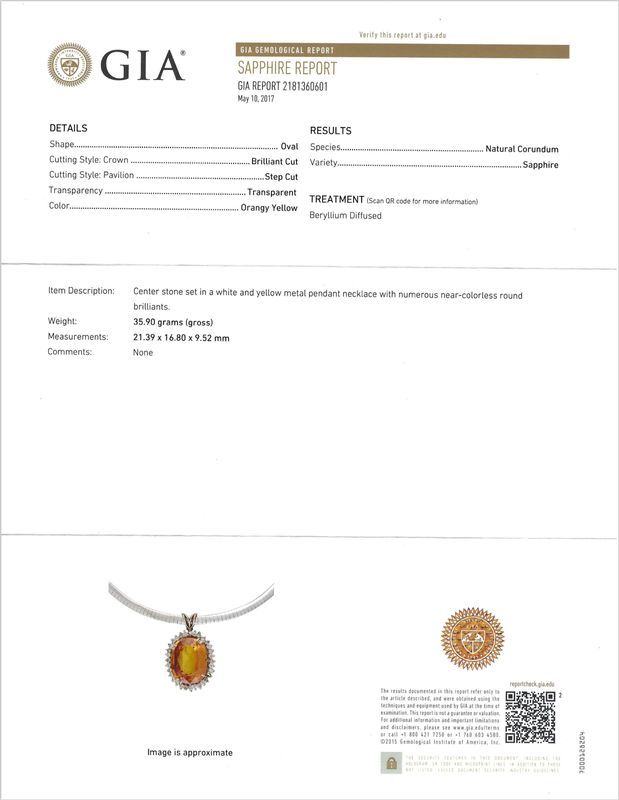 We’re listing the set separately as to give the buyer a choice. However, if you’re interested in the entire set, the pricing will be lowered accordingly. 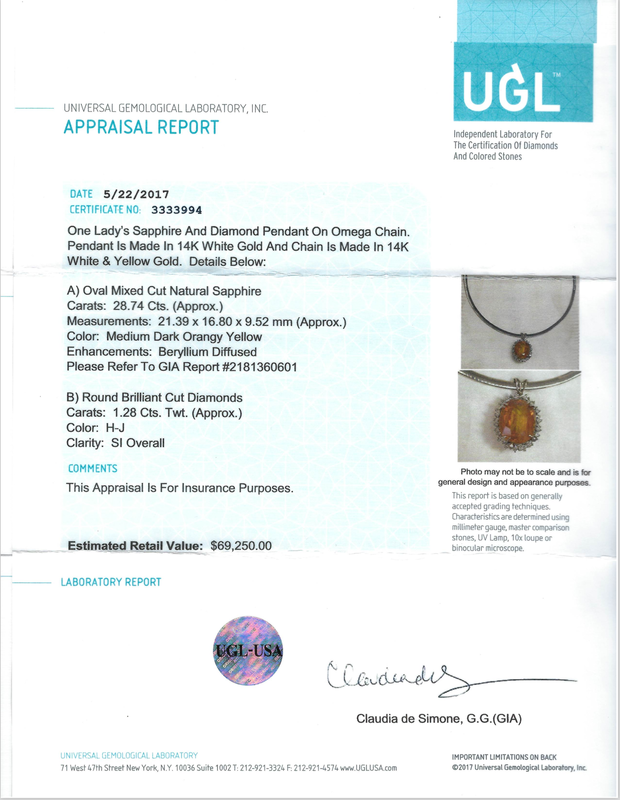 The Pendant is Appraised at just over $69,000, we are offering this piece at less than 50% of the Appraisal. 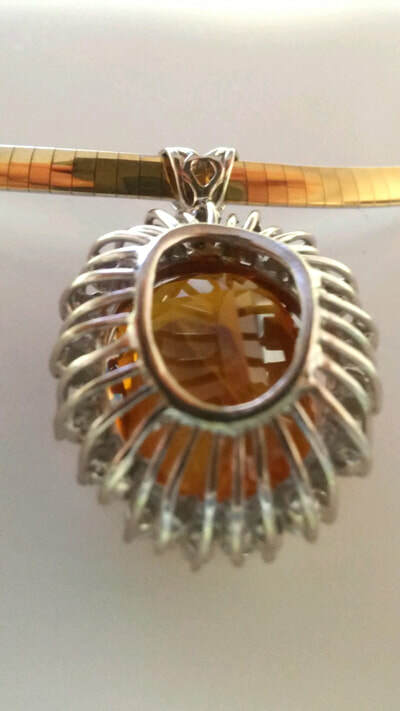 Enjoy the next listing as well to see the entire set.